Our House: The Madness Musical originally premiered in 2002, but suddenly seems to be popping up everywhere among musical theatre societies; and the Southampton Showstoppers’ newest batch of Freshers are no disappointment, as they take to the stage in their first show of the season. A typical Jukebox musical, the show consists of a somewhat scrambled book by Tim Firth, but is carried through by the memorable songs of the famous 70s’ band Madness. The story follows teenage Joe Casey, who, in an attempt to impress his new girlfriend, breaks into a building development. When the police show up, Joe splits into two: the ‘good’ Joe who gives himself up, and the ‘bad’ who flees the scene, and we follow both on their subsequent journeys. 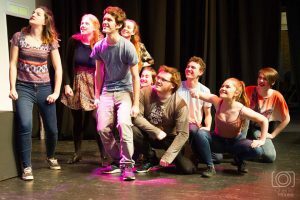 The Freshers-only production was high in energy and full of promise for great performances to come across their next few years at university. Maciek Shasha makes a fantastic debut right from the start as excitable lead, Joe, and shows plenty of potential to be a skilled performer. 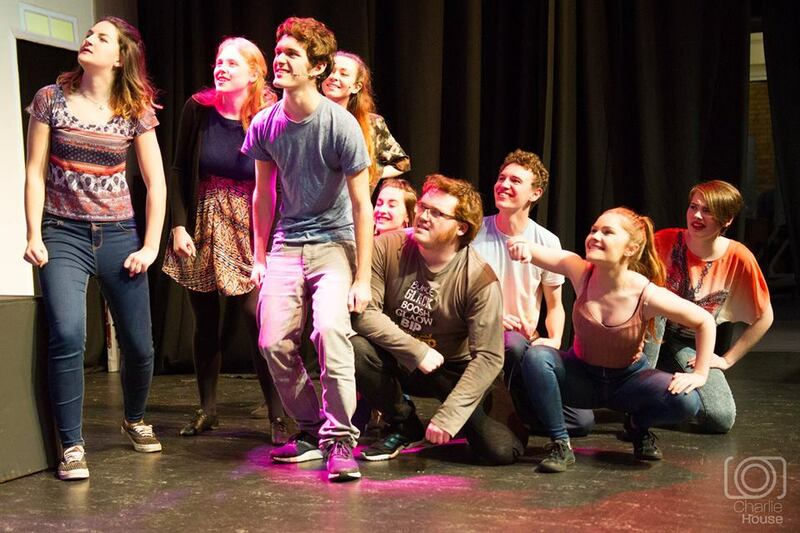 His energy led into an exciting first number, the titular number ‘Our House’, performed by the full cast with brilliant 70s’ era dancing, choreographed by Claire Mason. Another one to watch is Lucy Mellenfield, playing leading lady Sarah. This is one of the strongest performances of the night, portraying a convincing teenage love interest for Joe, and whose charming singing voice shines through in numbers like ‘NW5’ and ‘It Must Be Love’, the second act duet between the pair that the audience have waited for, and is beautifully performed. The comedy of the piece is mostly very well timed, much of which is brought by comic pair Emmo and Lewis, Joe’s best mates, played by Jonny Talsma-James and Nick Ong, respectively. The chaotic duo play off each other well, and earned several laughs from the audience, as did their female counterparts Phoebe Armstrong and Harriet Hutchins, playing Sarah’s friends Billie and Angie. The two prove to be a dynamic team, in both singing and acting, in the number ‘Embarrassment’. Another performer who should be commended is John Wilders as Joe’s deceased father. As a singing narrator for the duration of the show, Wilders’ role asks a lot, but the talented performer’s easy-on-the-ear, mellow voice (which wouldn’t sound out of place as a member of Madness themselves) is a delight as he drifts in and out of the action. His voice mixes well with Victoria Howard’s, portraying Joe’s mother, as they share a couple of endearing duets. The most anticipated moment of the night was undoubtedly the iconic ‘Baggy Trousers’, and the performers delivered an incredibly strong number. Mason must be applauded for her evident hard work with the choreography, and Joanna West as bad-girl Reecey was commendable as the lead vocalist. 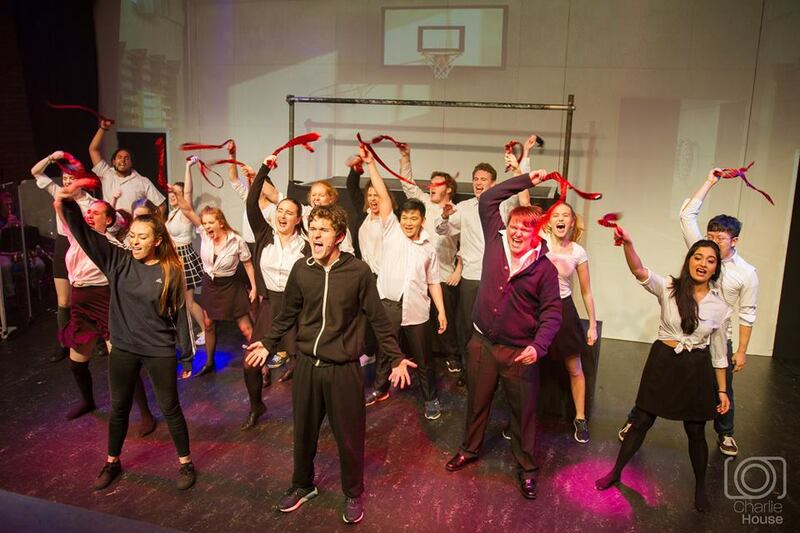 However, the ensemble stole the limelight here as they flooded onto the stage with great energy and aplomb as rebellious school kids. They say there’s no such thing as small parts, and this certainly applies to this bunch. The talented group carry the show, and each ensemble member plays several different roles, including, but not limited to, coppers, secretaries, showgirls (and boy), a clown and even a bear. Notable members include Gerson Sunggay, the aforementioned sassy show boy who carried this sass into a car wash worker and a genie-esque character (and to whom my advice would be to bring even more sass into his roles! ), and Amy Miller, whose secretary character was subtle yet entertaining in her disgust towards her employer, the womanising Mr Pressman, played by Jamie Lumsden with great comic timing. This energetic performance is rife with comedy, tragedy and teenage angst as we follow the two Joes on their diverse journeys, and of course morality pulls through in the end: as Joe’s dad sums up in ‘The Sun and the Rain’, “Suddenly wrong turns back to right…” The show culminates with in a celebratory, uplifting reprise of ‘Our House’, a short and sweet finale to an excellent production. The performances given by the newest Showstoppers are very promising indeed, and I look forward to what they produce in the future. Our House runs at the Annex Theatre until the 10th December.